Hey folks! 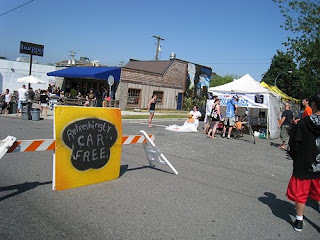 Blim will be presenting a monthly Main Street Community Market to take place on car free day! Roxypop will be sharing a table with Tiff from Love Bobbie in addition to 70 other vendors plus music, hot food, beverages, entertainment and more! things to do :: Swap-O-Rama-Rama TODAY!